Our composite french door range boasts a vast selection of styles and colours. Beautiful double composite doors built to last. Delivery is free of charge and usually within just 2 weeks. We also offer a nationwide survey and fitting service. Bringing together tongue and groove panelling with a thoroughly modern, diamond design, these exterior composite French doors will fit seamlessly into any property. 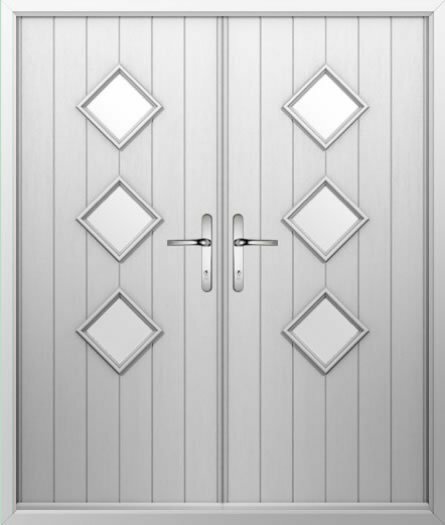 Providing the perfect balance between function and form, this three diamond design double composite door will brighten your interior space, whilst the enhanced security features will keep your home safe, energy efficient, and protected from the elements.